Economics, Law, Business and Commerce, Medicine, Science and Technology, Policy Management, Environment and Information Studies, Nursing and Medical Care, and Pharmacy. high school called “Keio Academy of New York”. Japanese university to reach its 150th anniversary, celebrating this anniversary in 2008. University has joined the MIT and the French INRIA in hosting the international W3C. Fukuzawa stated the mission of Keio shown below, which is based on his speech at the alumni party on November 1, 1896. Keio Gijuku shouldn’t be satisfied with being just one educational institution. and to take an actual action of this statement. It expects all students being leaders in society by the practice of this mission. Those sentences were given to students as his will, and considered as the simple expression of Keio’s actual mission. 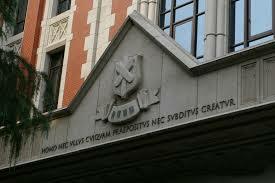 Keio is known for being the first institution to introduce many modern education systems in Japan. The followings are the examples. 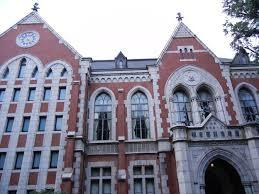 Keio is the earliest Japanese school that introduced an annual fixed course fee, designed by Fukuzawa. It initially introduced the culture of speech to Japan, which Japan had never had before. It built Japan’s earliest speech house Mita Speech House in 1875 as well. Korean students entered in 1883 and 130 Korean students in 1895.
virtue.Independence and self-respect are also regarded as Fukuzawa’s nature and essence of his education. there is still a culture in this university that all professors and lecturers are officially called with the honorific of “Kun” but never “Teacher” or “Professor”. Keio has been forming its structure in the following chronological order.